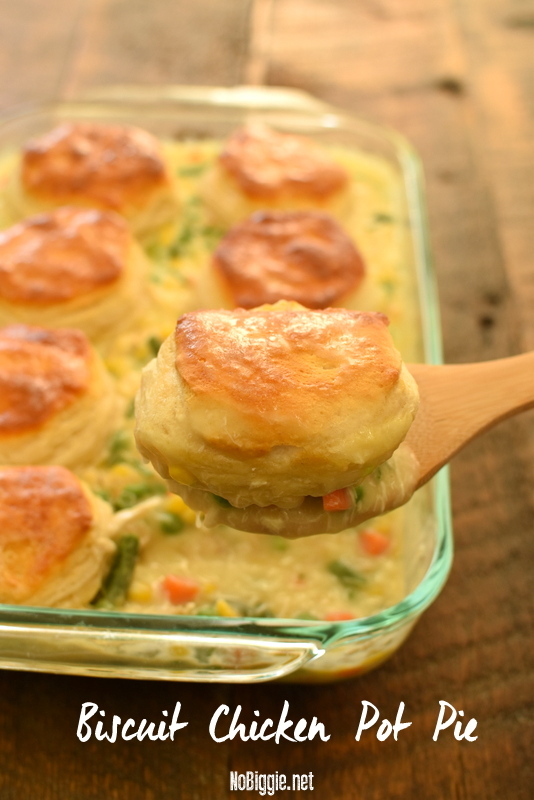 Chicken Pot Pie made easy! 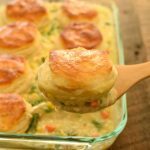 We love this Biscuit Chicken Pot Pie with pre-made biscuits, it’s a delicious fast way to get dinner on the table. Shredded chicken from a rotisserie chicken is perfect for this recipe, and such a time saver. Are you a fan of the rotisserie chicken? I totally am! Sometimes I’ll pick up two, shred both of them and then just freeze one. It’s always nice to have on hand, especially for recipes like this. So here’s the thing…my first attempt with this recipe, the biscuits did not fully cook. The top half did, but the bottom half of the biscuits were still dough-y. Here’s the solution: pre bake the biscuits on a sheet pan lined with parchment paper. 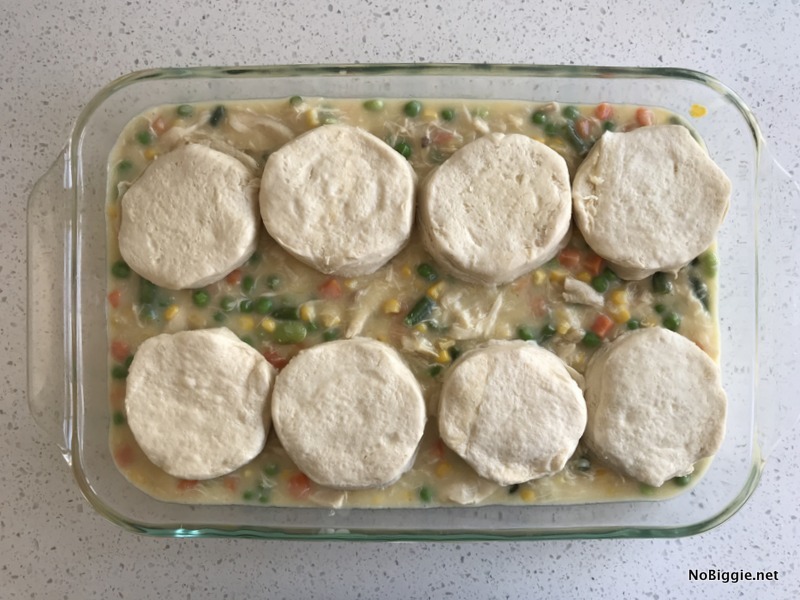 It’s helpful to precook the biscuits for half the time and then place them on top of the chicken mixture with the opposite side up to finish baking. This way both sides bake evenly. Because the chicken and veggies are already cooked, it’s just the biscuits that need to bake completely. Enjoy this simple classic comfort with your family.